AURORA, OH: Network Technologies Inc (NTI) today announced the addition of two SD/HD/3G-SDI Fiber Extenders to its popular line of Video Extenders. The SDI Extenders transmit SD/HD/3G-SDI video to two remote displays over a single fiber optic cable. The ST-FO3GSDI-LC 3GSDI Extender locates up to two displays from a SD/HD/3G-SDI video source up to 6.2 miles away using a simplex singlemode LC fiber optic cable. 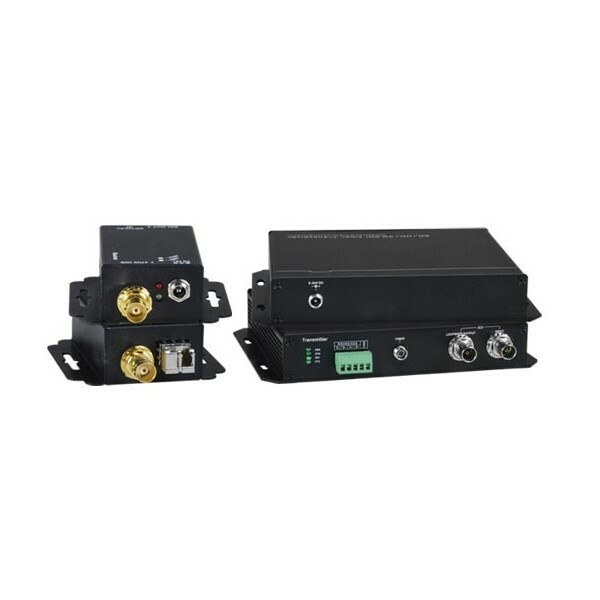 Each extender consists of a transmitter that connects to a SD/HD/3G-SDI video source and a local loop out, and a receiver that connects up to two SD/HD/3G-SDI displays. The unit supports HDTV resolutions to 1080p and protocols SMPTE 259M, SMPTE 292M, SMPTE 424M, and DVB ASI. The ST-FO3GSDI-FC 3GSDI Extender locates up to two displays from a SD/HD/3GSDI video source up to 25 miles away using a simplex singlemode FC fiber optic cable. 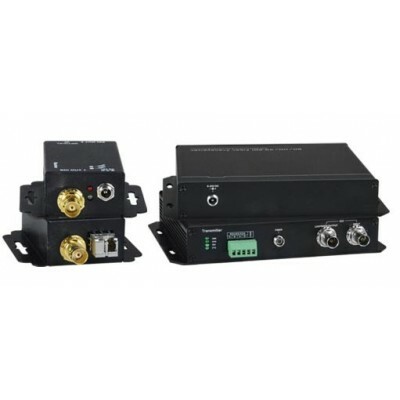 Each extender consists of a transmitter that connects to a SD/HD/3G-SDI video source and a local loop out, and a receiver that connects up to two SD/HD/3G-SDI displays. The unit supports HDTV resolutions to 1080p and protocols SMPTE 259M, SMPTE 292M, and SMPTE 424M. The extender features a 5-pin terminal block on both the local and remote units for transmitting RS485 control signals for CCTV applications with PTZ (Pan-tilt-zoom) cameras. Fiber cables can be installed in conduit prior to extender installation with no software required for quick and easy set-ups. Available for immediate sale, the ST-FO3GSDI-LC costs $915 each, and the ST-FO3GSDI-FC costs $715 each.